This does need to be done on a relatively regular basis. Although it lives in a sealed system, brake fluid absorbs moisture which lowers its boiling point and therefore effectiveness. Many car makers recommend brake fluid is changed every two years. Some say three while others say five. Check in your car’s user manual for the interval. Then see when the job was last done. It should say on any paperwork you have. 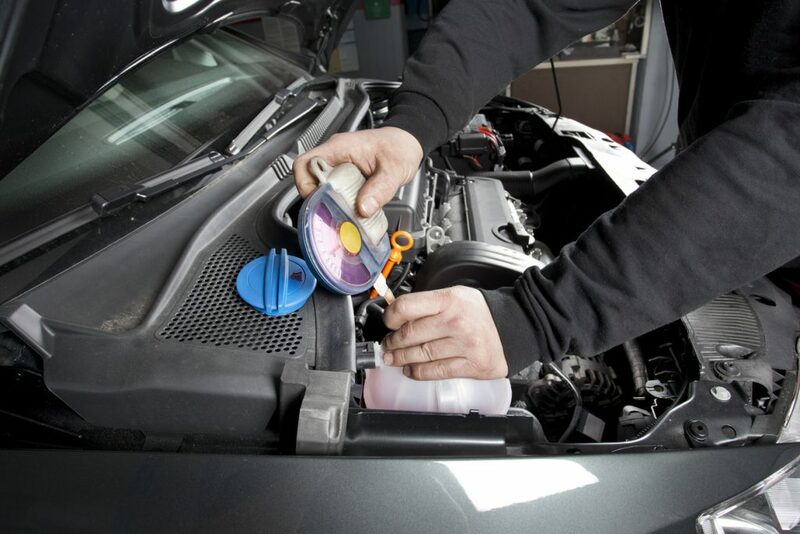 Your car’s coolant system is a mixture of water and anti-freeze. The anti-freeze is designed to prevent the water turning to ice in cold weather. Although the coolant isn’t used up (unless there’s a leak in the system), it does deteriorate over time. Check your service manual. Coolant should be inspected regularly but assuming a quality product has been used, it shouldn’t need replacing any more frequently than once every four or so years. And in some cases, coolant manufacturers suggest their product will last for a decade. Garages recommend these to clean out impurities from fuel and oil systems. Manufacturers of the products claim they clean nasties such as sludge out of the car’s oil system and help prevent new oil becoming contaminated. As such a vital safety component, no one is going to mess about with dodgy brakes. Knowing this, some less scrupulous garages will tell car owners their brake pads and/or discs need replacing when they don’t. There are some obvious signs that brakes need work. One is the dashboard warning light that comes on if the pads need changing. Another is if there are unusual noises coming from the brakes. 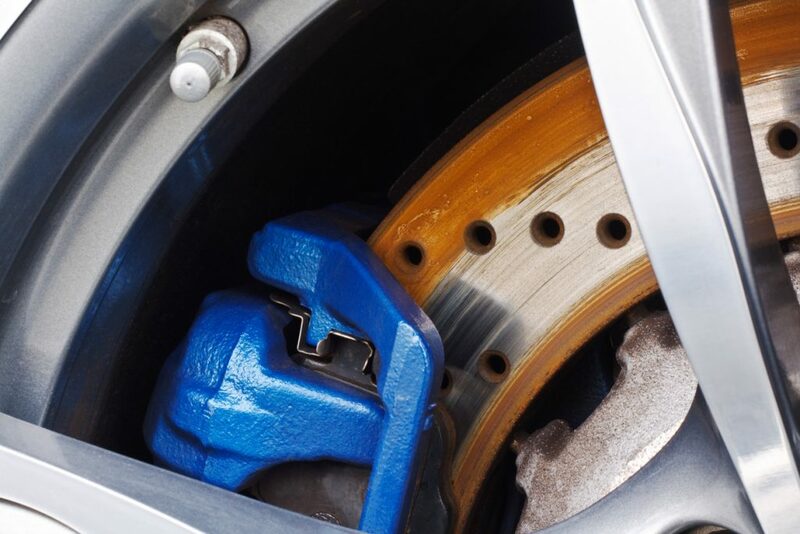 Grinding, clicking or screeching sounds can all indicate that brake pads should be renewed. Equally, juddering or the car pulling from one side to the other when you brake are signs the brakes are on their way out. If you’re not sure, get the technician to show you the worn pads or discs. And if you can’t be there, ask them to hang onto the components to show you when you come in to collect your car. These are another safety item. Wipers usually last for one or two years, depending on mileage. And they’re an easy DIY fix. 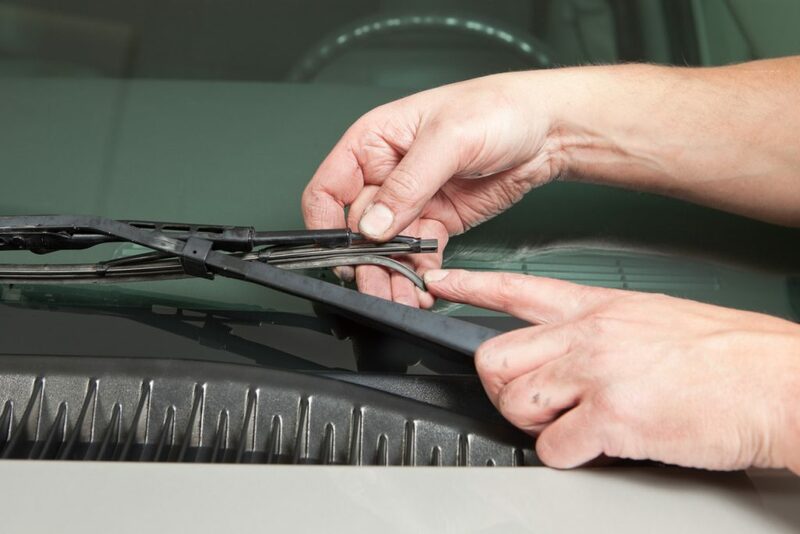 You should know when the wiper blades were last changed by looking at your service bills. Alternatively, check the blades yourself. There should be no tears or splits in the rubber. And run your finger along the blade to ensure there are no nicks in it. A squealing or juddering against the screen usually indicates they’re on their way out. A dud battery equals a dud car. And unless you have your own battery tester, it’s impossible to know how much life your battery has left in it. Age is one of the limiting factors when it comes to batteries. Most are guaranteed for a period of time, usually between three and five years. Check your paperwork to find out when the battery was last changed. If the garage insists it needs changing and you don’t think it should, ask to see it being tested. The T word is another name for wheel alignment. And if a wheel is out of alignment, it can cause premature tyre wear or suspension problems. Although it shouldn’t need doing too regularly and is usually done when you have new tyres put on, tracking can be affected by the car hitting a kerb or pothole. It’s easy to see if tracking needs doing because when it’s ‘out’ it causes uneven wear on tyres. Therefore, the inside of the tread will be more worn than the outside or vice versa. It’s worth checking this before your car goes to the garage. The majority of equipment for checking wheel tracking has a print out feature. If you can’t be there to see for yourself, ask to see the data they collected. And if you suspect you’re being lied to, many garages offer free tracking checks so go to one of those instead. Oil is the lifeblood of an engine. If an engine doesn’t have enough, it will literally grind to an expensive halt. Some engines do use oil but a healthy one should use hardly any. This is another problem that you can get round simply by checking the oil before the car goes to the garage. If you put the dip stick in and the oil is between the minimum and maximum markers then your car doesn’t need a top up. As your only contact with the road, it’s vital that tyres have the correct tread depth. If they fall below 1.6mm you’re breaking the law and it can lead to points on your licence and a hefty fine. But some garages, will say you need new tyres even when you don’t. Again, check before your car goes to the garage. You can do this with a 20 pence piece or there are special tread depth checkers that only cost a couple of quid from motor retailers. Air that comes into the cabin comes via the pollen filter. This traps dust as well as other bits debris that might get up your nose. Having a new pollen filter will have no impact on how well your car performs in a driving sense. Therefore, do you want it to be done? If you suffer from hayfever or other allergies, it might make a difference. But chances are, you won’t notice. And if you’re suspicious, ask the garage to hang onto the part, or better still take a photograph of it in the car. A dirty, clogged pollen filter is obvious. If you’re not confident of negotiating with a garage, Green Flag’s Smart Service, provided by RoadServe, is free to all Green Flag customers. RoadServe acts as the middleman between drivers and garages to help car owners to avoid overspending. Roadserve uses an approved network of garages, and customers get their own technician who deals with the garage on their behalf. This guarantees only work that’s needed is done and because RoadServe can negotiate fleet discounts it’s usually cheaper too. the biggest con with main dealer garages as i have learnt to my cost was during the last 12 months i naturally ” wrongly believed ” if you purchase a used car go to the main dealers as they have the required ” expected ” nohow for a particular make of car, mechanics who should know the car inside out, alas that’s NOT the case. I had purchased a 3008 model peugeot which sadly lost 400ml of radiator fluid every 3/4 tank of fuel…took the car to the main dealer as they have the tools and nohow, Wrong, was advised jubilee clip on the pipe close to the thermostat needed replacing and the cost including the inspection charge would be £300.00 reluctantly i authorized the work… alarm bells ringing after refilling the tank another 400ml fluid needed adding. Regarding the text relating to tyres. Whilst the article is correct in stating the legal minimum tread pattern depth is 1.6mm, it is a proven fact that in wet weather a car tyre’s performance will deteriorate rapidly when the tread depth falls below 3mm. It may be some car garages are making a recommendation to change tyres when the tread depth is 3mm or below but still ablove 1.6mm. Garages are right to point out things which might need doing but many are simply looking for ‘top up’ work. As an ex-engineer I am conversant with a vehicles needs but have come across several cases of over zealous or creative service work. For example, my neighbor informed me that his car was in for service and they had called him to say he had excessive brake dust on his disks and that he should have them cleaned – he authorised the work and they charged £35.00. He was subsequently asking me if this was justified. Well I laughed and laughed – now that’s what I call creative servicing. In another case, a girl at work said she had just had her car serviced and that they informed her that all he shock absorbers were broken. The work was going to cost £300 so she asked me if this was right. I went to the vehicle and checked – all the shock absorbers were perfect but I suspect they preyed upon her because she had no knowledge of anything mechanical. Easy win! Worn brake disks is a really common way to jack up the bill. My own vehicle was in for an un-related check and the garage said all the disks were badly damaged, advising me not to drive it. I told them to leave well alone and I ran the vehicle for a further 4 years, let me assure you, the brakes were perfect in those years. Finally, I ran an Audi A4 for 9 years. For many of those years the garage wanted to replace the brake fluid. I declided each time and went on to cover 368,000 miles on the original fluid. I clearly recognise the need to occasionally change these fluids but even when the car was sold the brakes were pin sharp and the ABS spot on. The bottom line is, those with little or no knowledge of a cars needs are always going to pay more than someone who understands what’s real. Hi Richard, regarding your comments about Brake Discs. I couldn’t agree more. I have had alleged worn brake disc issues with two prestige car dealerships. In one instance with an Audi I had, almost every time the car went for service I was told either the brake discs or the pads needed changing and when they change discs they also recommend changing pads. I asked to see the pads on one occasion and there was 10mm of pad remaining. I stood my ground and challenged the garage technician to prove his points. He backed down and I was refunded. My message is that if the advice being given doesn’t sound right challenge it even if you have little knowledge. If you are persistent often the truth will out. Well done Roger – brake disks and pads are a wearing part on any car and it’s right to keep your eye on them. The manufacturers will have a wear specification or wear tolerance and the garages are obliged to follow that spec. That said, if the disks are true and the pads have life (keep in mind most pads these days have a wear indicator lamp so it’s safe to drive the vehicle until this light comes on) then keep driving. Most disks will develop a wear lip over time and if wearing too thin can makes the disks overheat under excessive braking, this in time will warp the disk so when braking you might feel a slight vibration, it’s at this point it’s advisable to change the disks and pads. Did you know that breaking hard from 60mph generates enough heat to boil 2 pints of water. All that said you were right to question the garages decision, after all, if they could prove to you they were unsafe then they wouldn’t have backed down. I suppose the best way is for them to advise you during the service so that you could make an informed decision. not always practical I know.